Sometimes we do not have the time to pull out an iron board and iron a wrinkled spot on our shirt. Well do not fret, I have a simple solution for you and all you need is a hair straightener! I personally use a Chi ceramic hair straightener, but any will do! 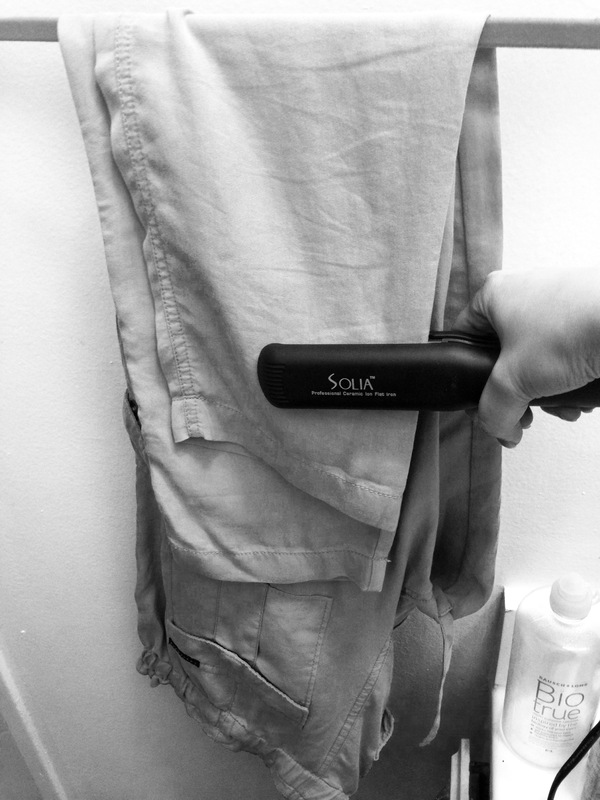 It is simple, just turn the straightener on and go over the parts of your clothing that have wrinkles. The wrinkles should disappear immediately! Glad I could help! It much easier to get into the little nooks and crannies.